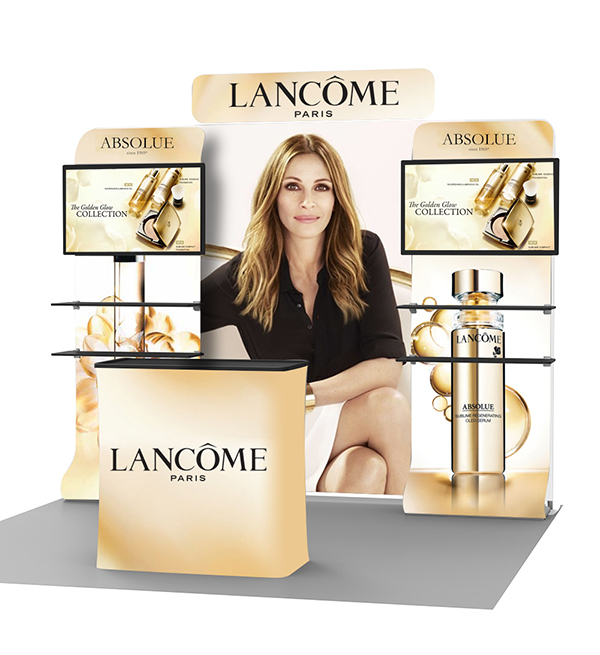 Digital Xpressions recently introducing most energizing expansion with the Smart-Fit series G: the Smart-Fit Straight Tension Fabric Display Kit. This fantastic package boasts few difficult to trust features, such as a four aluminum shelves with two waterfall TV stand & two TV mounting bracket, a custom printed header, and our top offering portable trade show display of all time, the Smart-Fit series G. Smart Fit Straight Tension fabric display kit is designed for greatest branding and media control, permitting you to market your product on a whole top level. 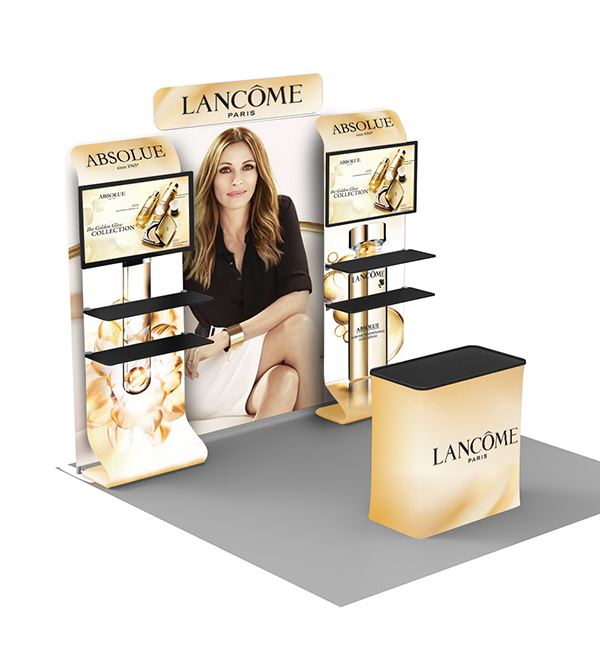 The shelving unit is perfect for product displays or keyboard and mouse placement, so your prospective clients can have an interactive experience.